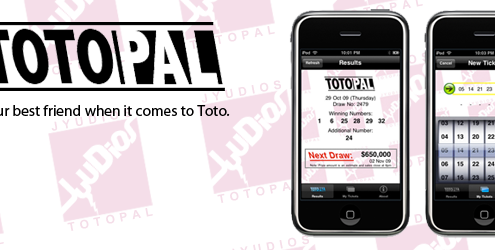 TotoPal is a mobile lottery app that provides the latest Toto draw results conveniently on the iPhone. It helps Toto junkies tally their lottery tickets against the winning set of draw numbers for them. 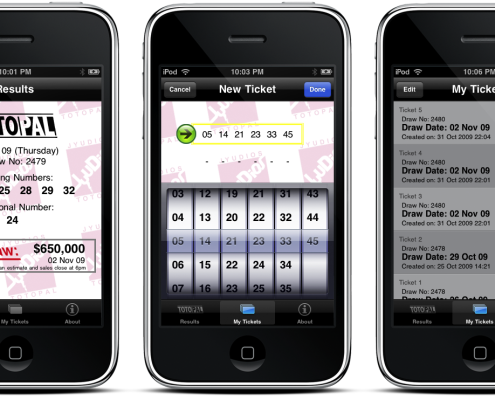 It also shows the date and prize money for the next draw. App done on my own accord. This was an idea that I came up with when I noticed how my dad constantly purchases tons of lottery tickets and had to tally the numbers one by one manually. TotoPal is available for free on the App Store. 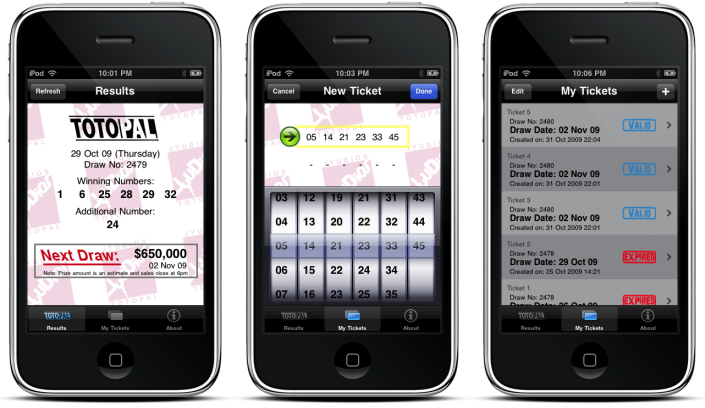 It was ranked among the Top 30 applications in the Singapore App Store on 1 Jan 2010.